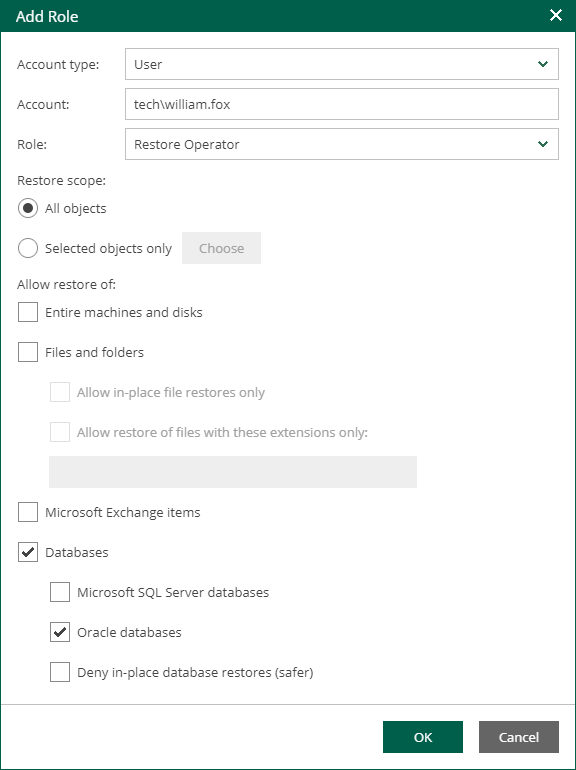 Users responsible for Oracle database restore should be assigned an Enterprise Manager role with the corresponding option enabled. Select the Databases check box. Select Oracle databases check box. If necessary, select the Deny in-place database restores (safer) check box. The Items tab will become available to these users after they log in to Enterprise Manager. For more details on role assignment, see the Configuring Security Settings section.